Save time by downloading these CAD cabinet door symbols and hardware symbols. 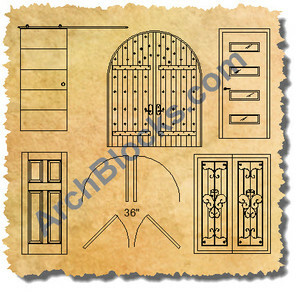 They are very easy to modify to your specific design needs. 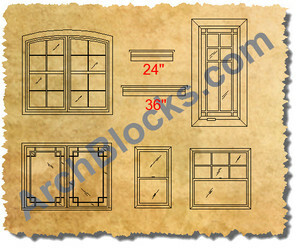 They are a great way to start your cabinet elevation drawings. 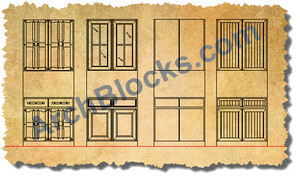 Don't start your cabinet and kitchen project drawings from scratch. These CAD symbols of cabinets can be used anywhere you need to show cabinet elevation drawings including the kitchen, bathrooms, garages, utility rooms, storage rooms, work rooms, and office spaces. 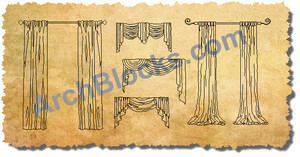 All ArchBlocks.com products come with a 100% satisfaction guarantee!